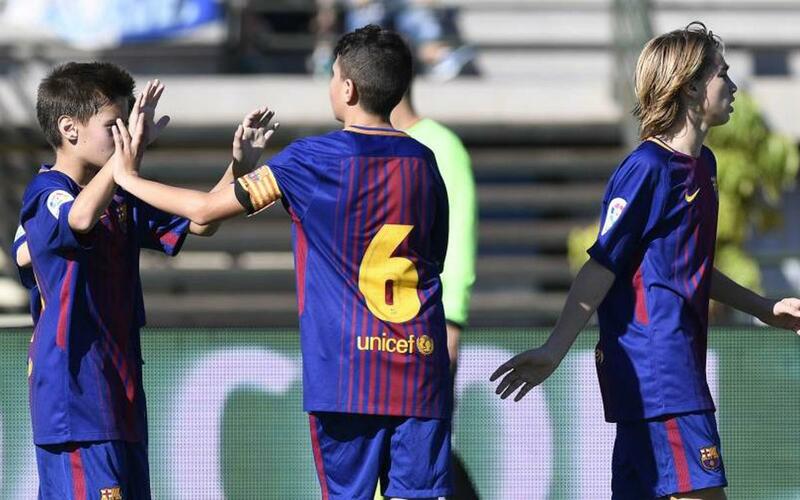 The U13B side will look to secure a place in quarter-finals of the LaLiga Promises against Roma after a bittersweet opening day. David Sánchez’s side beat Alavés 3-0 in the opening game but they lost 1-0 in the afternoon in a tight and tactical game against Villareal. Barça will play Roma at 12-00pm CET on 28 December. The U13Bs need a win or a draw to reach the quarters where they will face Juventus, PSG or Atlético Madrid. The U13B debut in Liga Promises in Arona with a great win over Alavés. The blaugranas took the lead with a Cristóbal goal in the first half. In the second half, goals from Llorenç and Jan Molina capped off a dominant performance in the XII edition of this prestigious tournament, which runs from the 27 to 30 December. The afternoon game pitted last year’s finalists Barça against Villareal, which ended with a 3-1-win last year. This year, both sides were very respectful of each other and the game was a real tactical battle with few chances. Villareal took the lead in the 20th minute from a rapid counterattack from the dangerous Enrique. Barça didn’t have time to respond as the games were 12 minutes per half despite their best efforts. The result means the blaugranas need to secure at least a draw in their game against Roma tomorrow to book a place in the quarter-finals.